Join us March 1-3 for a wonderful, relaxing weekend of sewing and fun at the Techny Towers Retreat Center in Techny Illinois (near Northbrook). The facility will open at 3:00 on Friday with official retreat activities beginning after dinner at 6:00. 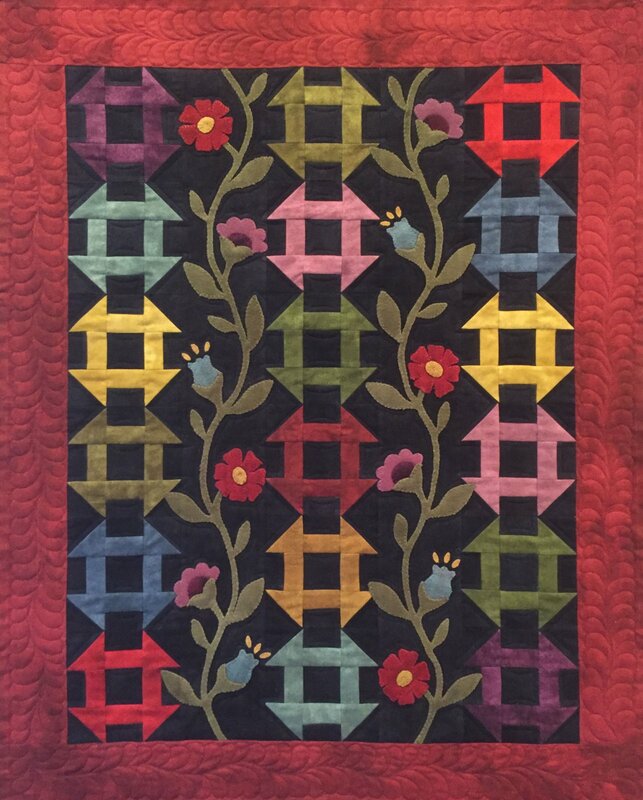 Carrie & Katie will be leading a new project that combines pieced cotton blocks and wool applique. Other retreat activities will include games, “Show and Tell” and lots of chocolate eating! Fee includes five delicious meals (Friday dinner – Sunday brunch) and overnight accommodations. A non-refundable deposit of $ 50 is required to hold your spot. Signup soon, spaces are filling up quickly.